Are you on a strict wedding budget? Do you want a lot of people to attend your wedding reception party while keeping the ceremony event exclusive to close friends and relatives? Want a less formal way to announce your wedding details? If yes, you need not worry because there is an all-in-one solution for this problem. And that is through the use of wedding flyers! 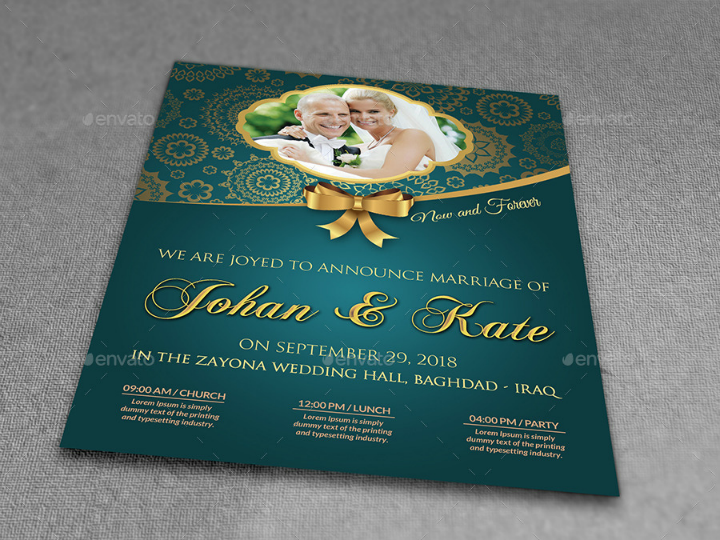 In this article, we provide different examples of wedding flyer templates all in PSD (Photoshop document) file format that you can purchase and customize for your own wedding. First on the list is the A4 Wedding Flyer Template PSD Bundle pictured above. As a bundled flyer template, it contains two different templates. 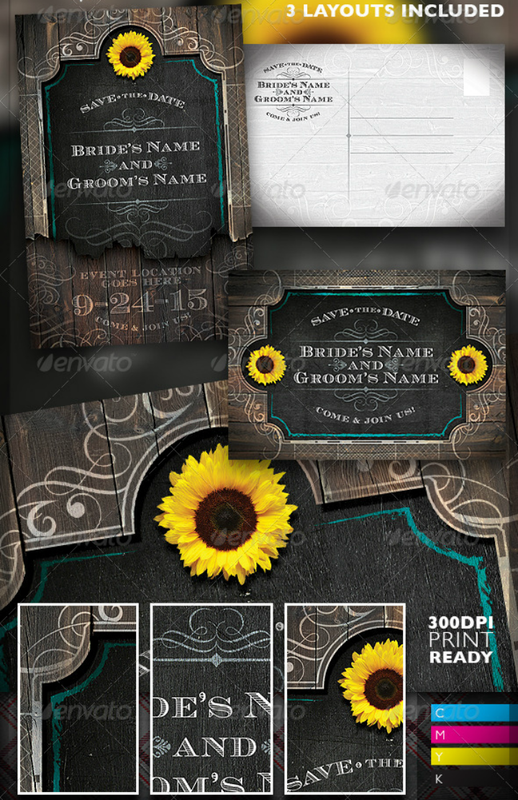 One sports a flower bouquet as shown above while the second template features portrait shots of the couple. Both templates print out on A4-sized paper. Even if this wedding invitation is printed as a flyer, you may still print it out on high-quality paper to give the event a somewhat formal aura. This template is fully customizable. However, you may need to add your own images if you want to make sure that the flyers will look like how the mock-up template looks. As a printable template, it includes a 0.25-inch printing bleed. Planning a minimalist wedding? There is no better way to do that than by using a clutter-free wedding invitation flyer design like the Black Wedding Invite Flyer Template shown above. This template presents only the most necessary wedding details – perfect for those want to do away with floral patterns and overly decorated wedding invites. This template may be used if you want to give your guests something to inform your guests about the flow of events on your wedding day without having to invest in a full-on formal invitation. Downloading this flyer template gives you access to both the RGB and CMYK Photoshop files of this template. As a printable template, the PSD layers will also already include a 3 mm bleed. Sometimes, it is not only brides and wedding planners who will need to use wedding flyers. 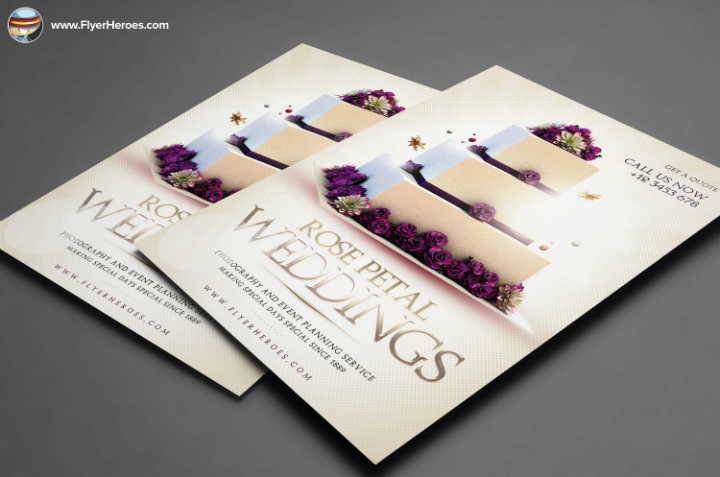 Businesses that operate in the wedding industry also use wedding flyer templates if they want to attract more customers. 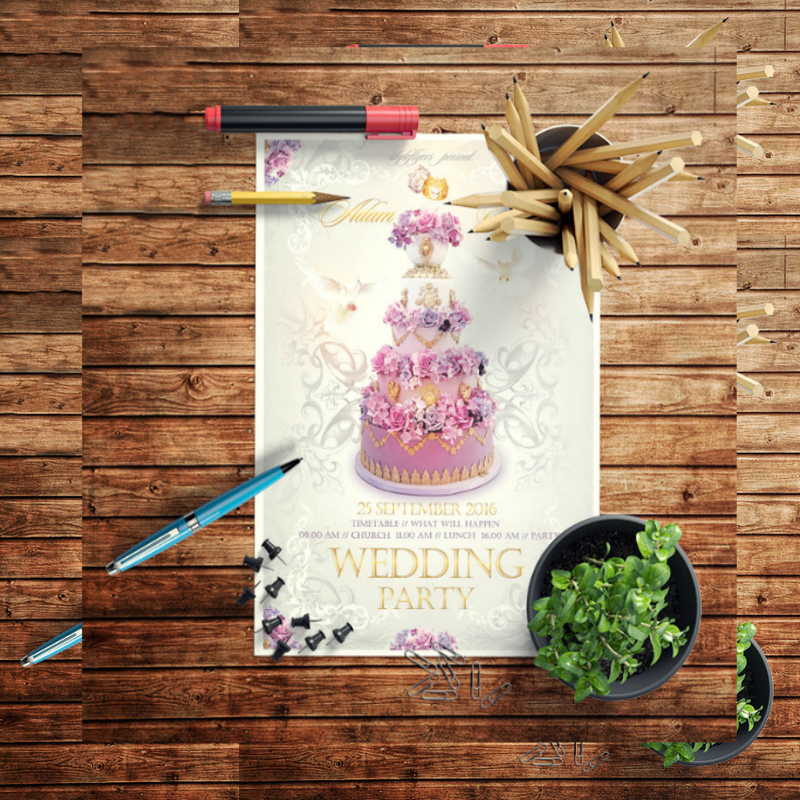 The Cake Wedding PSD Flyer Template featured above is an example of that. It is a flyer created for a wedding planning and photography business. 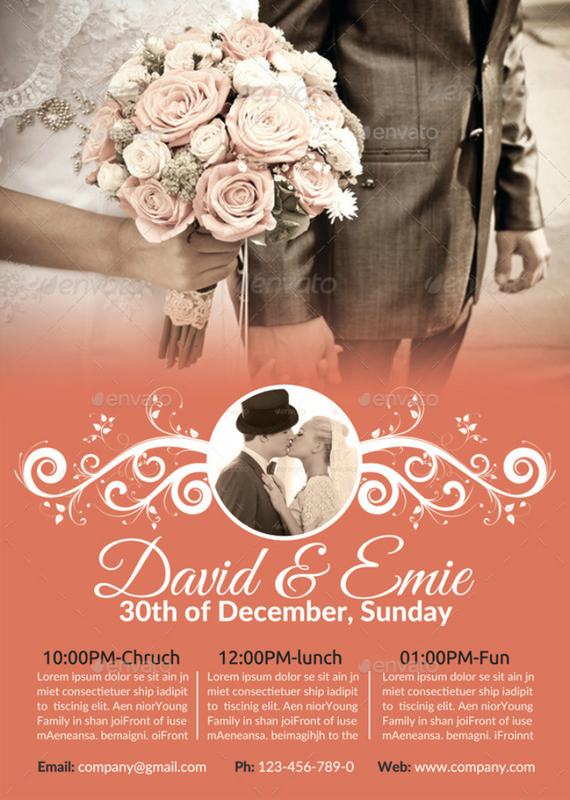 This wedding template is fully editable in Adobe Photoshop. It also follows the CMYK color model, making it more suitable for printing. 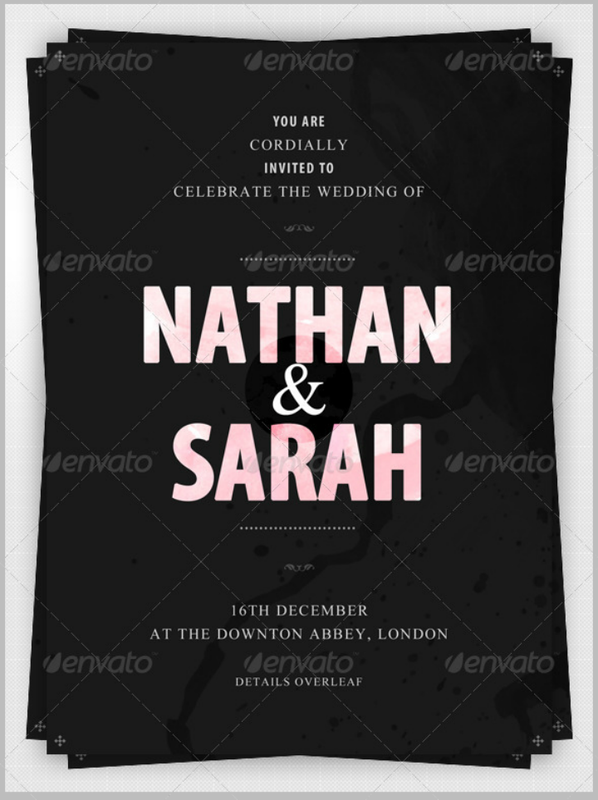 Aside from being a wedding flyer, this template may be further customized and used as party flyers, sale flyers, etc. Want a formal wedding ceremony and the subsequent formal wedding dinner reception without all the razzle-dazzle of floral wedding templates? If yes, you may like to incorporate the Elegant Wedding Invite Flyer Template (shown above) into the list of wedding stationery designs that you will be using. 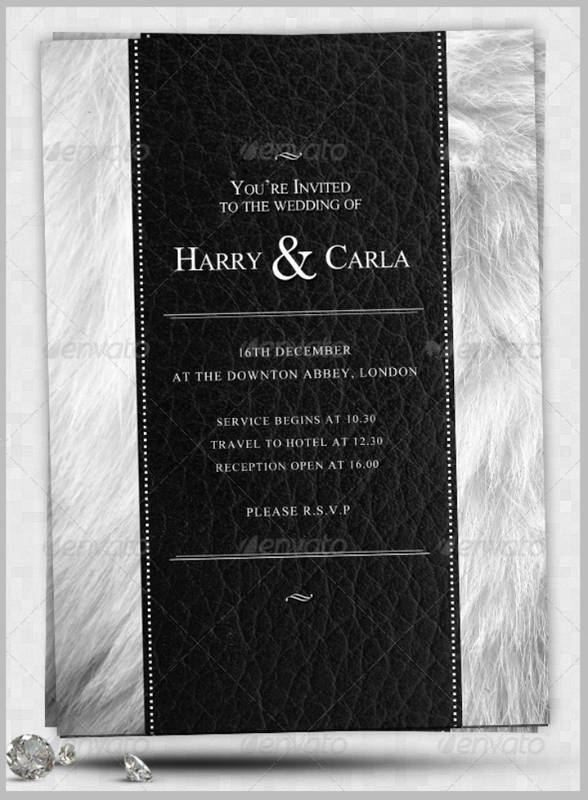 With this wedding flyer template, you can choose between a dark and a light version. Each PSD template file is fully customizable that you may change the text colors, font size, and font styles. But note that you will need to download the Times New Roman and Myriad Pro font styles if you wish to achieve the same template look as shown in the mock-up above. This wedding flyer best prints out on an A5-sized paper or cardstock. Flower patterns or themes are often used in weddings. And the Floral Wedding Invitation Flyer Template embedded above is an example of how the theme is incorporated into a flyer template design. Brides, grooms, and wedding planners who want to make sure that all the graphic design elements in their wedding papers match will love this template since it can easily be used with other flower templates. This template will also work well with other vintage wedding templates since the typeface family used in the template has vintage leanings. This template measures 8.847 inches by 12.957 inches when printed out. It also follows the print-ready CMYK color format and has a pre-formatted three mm printing bleed. 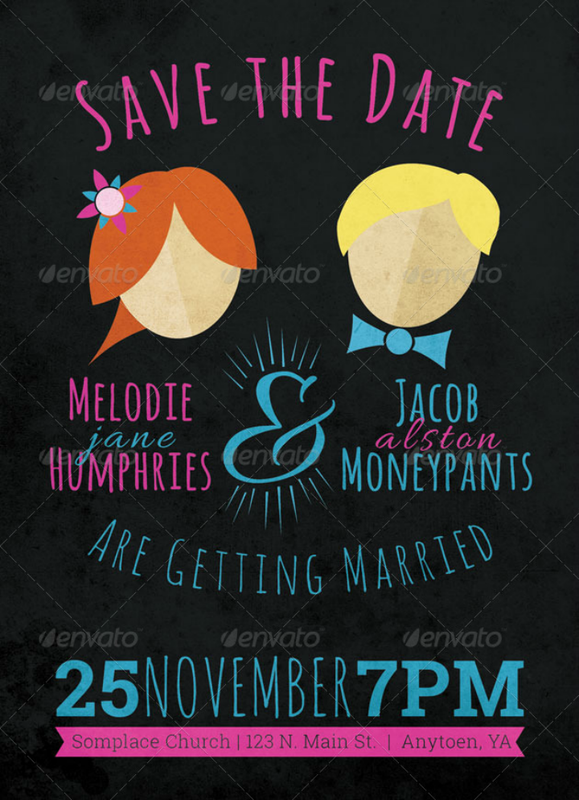 The Fun Wedding Save the Date Flyer Template featured above is a unique wedding flyer template that should be used with caution. The font styles and color scheme used in creating this wedding template will best suit couples who want a laid-back atmosphere during the ceremony and the reception. This template may not suit traditional wedding ceremonies but it may still be used as a way to informally invite guests to your wedding. If you choose this route, just make sure to also send out a more formal wedding invitation card. This template may easily be customized and you can choose from three background color variations (white, black, and peach). This template measures five inches by seven inches. 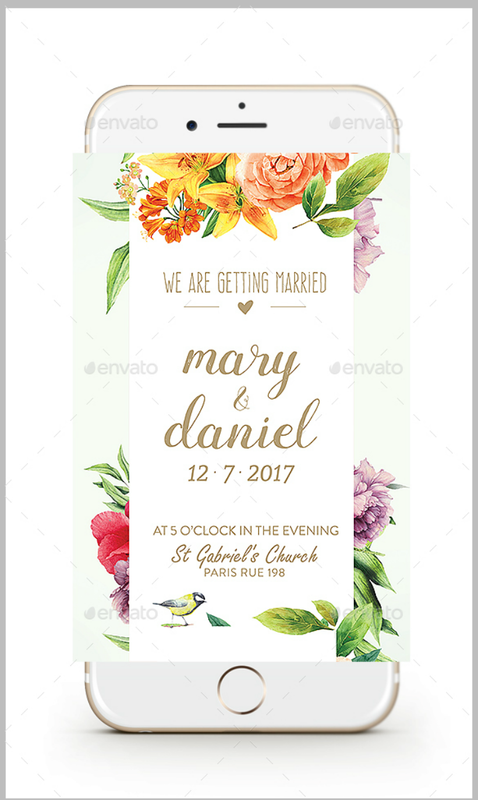 Buying this template will allow you to download a wedding RSVP card template and a wedding Thank You card design template. 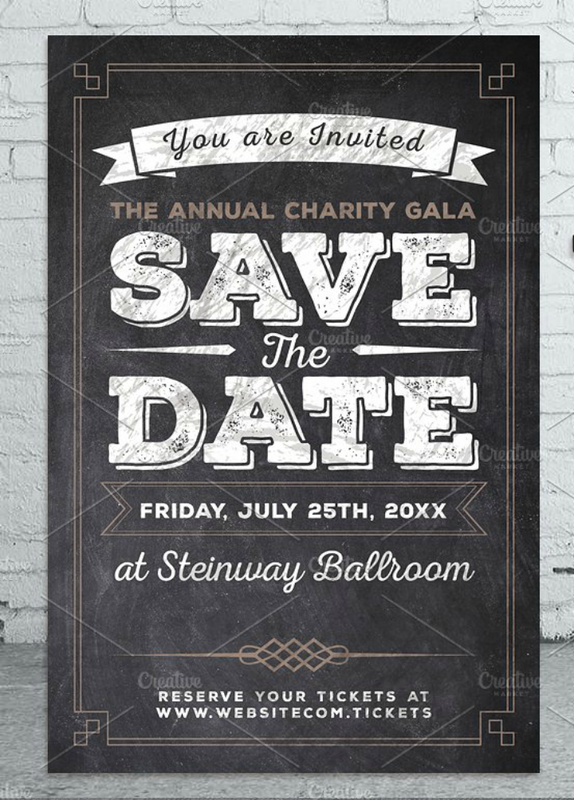 These Save the Date flyer templates are best printed back to back with the RSVP card to make them more usable. 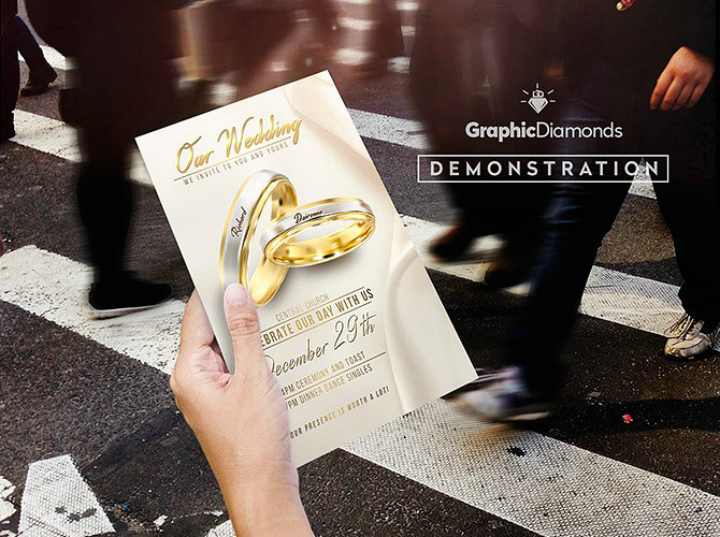 Choose the Gold Wedding Flyer PSD Template shown above if you are looking for wedding templates that will match the current luxurious template designs that you are already using. Wedding flyers may be given to less important wedding guests or if you are on a budget and only have limited copies of the official wedding invitation. As its name indicates, this wedding flyer follows a gold color scheme and is best printed out on paper or card stock sporting complementary colors. If you have used a professional printing service, it may help to request for gold foil textures to be added to the printed flyers. 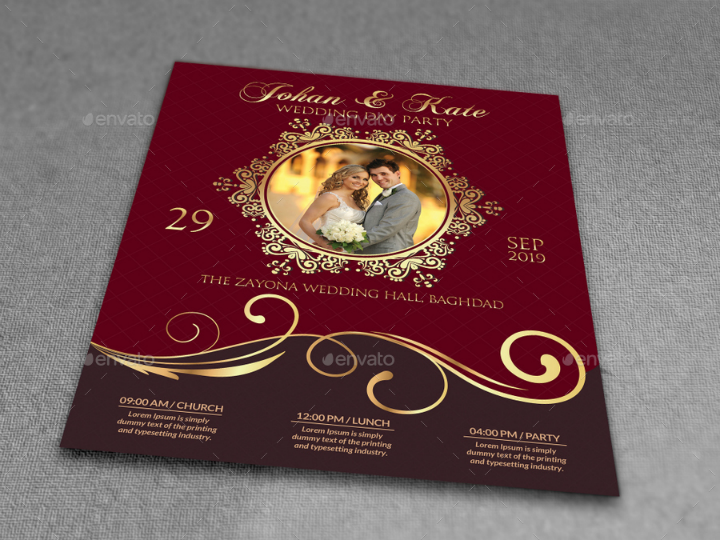 This will help create a more luxurious-looking wedding flyer. 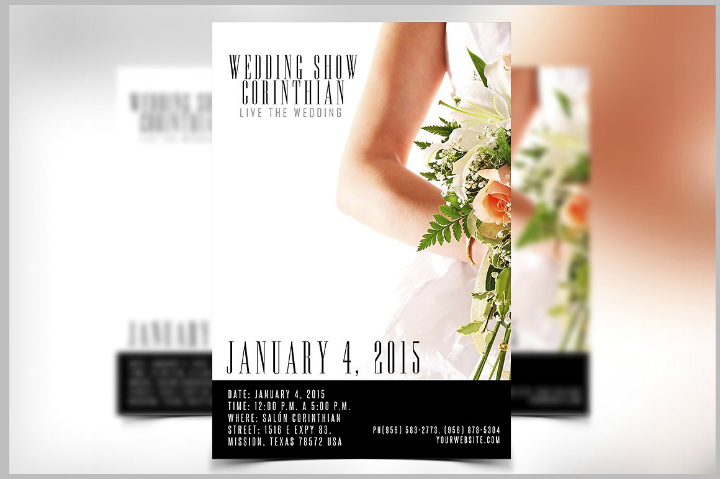 Why use PSD wedding flyer templates? For most people, just hearing the word flyer will give them the impression of having printed advertising materials that most business establishments use. But in the wedding niche, flyers can be used as an alternative to traditional wedding invitation cards while still functioning as a printed marketing tool. If you are confused whether to use flyers or invitation cards for your own wedding, check out the next few items on why it is more advantageous to create wedding flyer templates instead. 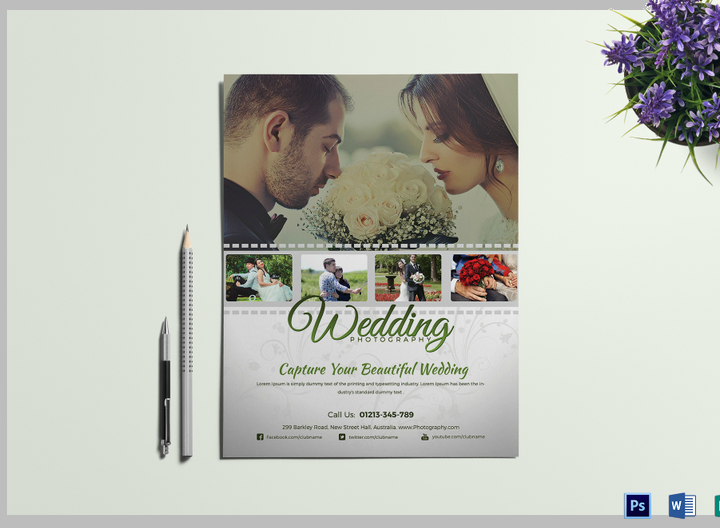 More specifically, we focus on the use of wedding flyer templates that were created and stored using the PSD file format. Most printable templates are available in PSD format. Wedding flyers are not for everyone. But if you intend to use them, it is best to use flyer templates that are available in PSD format. Adobe Photoshop has become an industry standard in terms of image editing and compositing. This is why most graphic artists who are worth their salt will be using this software program to create their templates. There are even free printable templates available online now that you may customize to create truly unique flyers for your own wedding. They cost less. 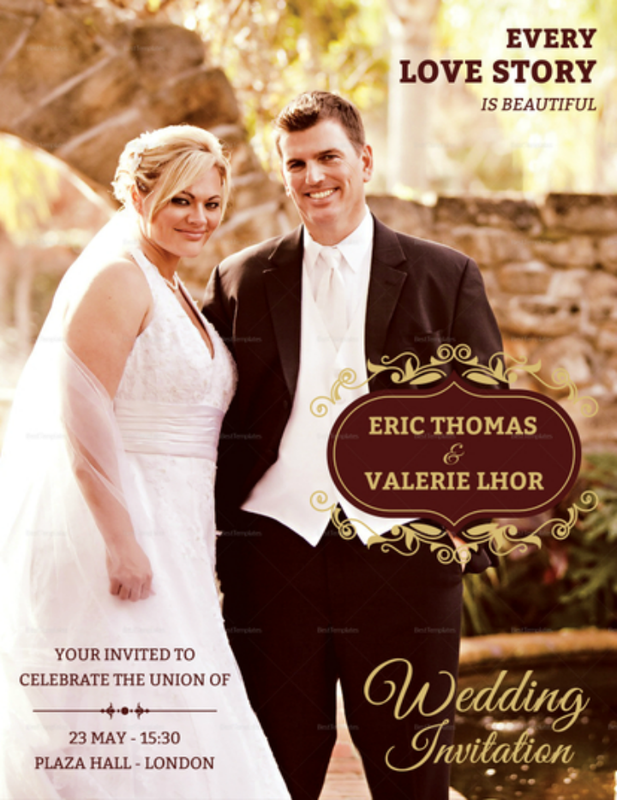 Another advantage of using PSD wedding flyer templates is their cost. Typically, any pre-made template stored on PSD files will cost less than actually hiring a professional graphic artist. If you are operating under a wedding budget, it may be more cost-effective for you to use PSD templates instead. This then allows you to use the money on other items for the wedding. You already know how to use Adobe Photoshop. Another legitimate reason for using wedding flyer templates in PSD format is if you already know how to use Adobe Photoshop. This way, you do not have to use another editing software just to customize a wedding flyer template. And since Adobe Photoshop has become a software tool used by most graphic art professionals nowadays, your Photoshop skill will come into good use. You save time. Planning a wedding can be tiring. That is why one of the small things that may allow you to have more time to do other wedding-related tasks is by using pre-made PSD wedding flyer templates. Manually creating any wedding card template can take a lot of time. So instead of dealing with this yourself, your time will be best spent relaxing or addressing more pertinent wedding issues. PSD flyer templates are also especially helpful if you do not want to deal with invitation card designs at all. You can just easily whip out a wedding invitation flyer in a few minutes using a pre-made template without having to put considerable thought into the process. You may choose a template design that will best match your wedding motif. Just like with using other wedding card templates, you may also choose the template design theme that you want for your wedding flyers. Even if you are not personally creating the flyer design, you still have the choice in terms of selecting which pre-made flyer template will best match your wedding motif. This is often a better alternative especially if you are not artistically-inclined and do not see yourself designing your own wedding flyer templates.